Which is preferred and why. 710.0 kgs @ 93kgs UnEq Powerlifting for me. Not a fan of all that running around personally. 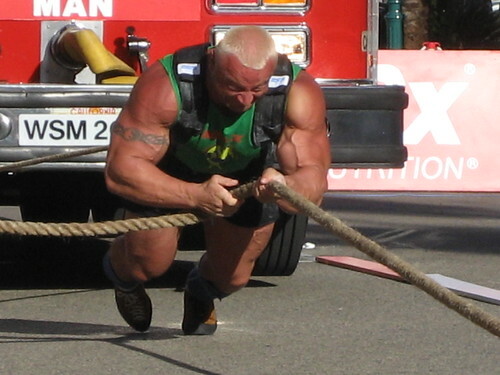 Off course as a spectator sport for the general person strongman must be way better. 780.0 kgs @ 115kgs Eq Powerlifting is the sport of kings. Strongman is full of cavemen-like bas***ds. 665.0 kgs @ 93kgs UnEq Equiped or unequiped powerlifting??? PAGAN said:Equiped or unequiped powerlifting??? 520.0 kgs @ 82kgs UnEq Equipped or un equipped strongman? i think it would be interesting to try a PL comp one day and see what its all about. infact when i first joined sugden i wanted to do powerlifting.... but then i found strongman... realised i was two mile from the best gym in the country, and never looked back.